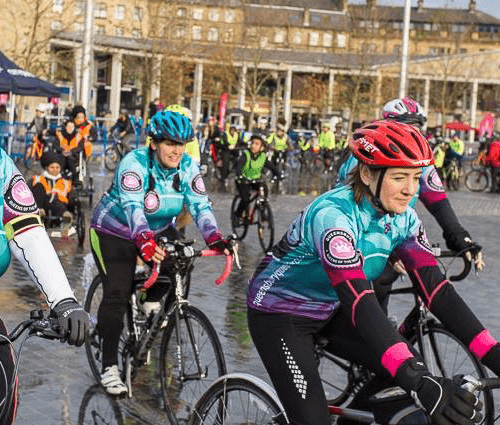 Capital of Cycling is a coalition of cycling organisations, community groups and charities. We work to support and connect some of the fantastic cycling work, events and opportunities that are already going on in The District. Why not join us? We have a cycling hub in the centre of Bradford, opposite City Hall, next to The Bradford Hotel. Many volunteers and members have given up their time and resources to help us get established and offer cycling related opportunities in Bradford. Girls Gotta Ride, Onna Bike and Hopon Cycling. We offer a bike maintenance fix and learn every Friday afternoon, bike buses to get you in and out of Bradford, meeting space for cycling groups and more. If you want to get cycling, you’ve come to the right people! If you’re already involved in a cycling organisation such as a club or community group with an interest in it – come talk to us.